We close our series of #ECOWeek18 blog posts, with some fantastic advice from Katie Berry, Volunteering Assistant, Activities Team, Students’ Association, on the top six reasons for getting involved in volunteering. Here at the Students’ Association Volunteering Service, we are thoroughly enthusiastic about the benefits volunteering can bring to the community, planet, and students alike! Volunteering can provide a unique opportunity to get experience in the environment and sustainability sector. We have a huge range of opportunities in these areas, from becoming a Student Reporter for the Department of Social Responsibility and Sustainability, to helping set up the first Food Waste supermarket in Scotland with the “swap and reuse Hub” (SHRUB), to assisting visitors at the Scottish Seabird Centre. Volunteering enables us to connect with the wider non-for-profit community in Edinburgh. There are hundreds of charities, social enterprise groups, co-ops, student groups and more doing great action all across the city (and indeed further afield around the UK). Getting involved in these organisations gives us the chance to contribute and meet others both within and outside of University. The news can often be depressing and overwhelming. We might wonder how we can possibly fight global problems and issues, and whether these things will ever change for the better. Volunteering can help us to realise that, despite the disheartening headlines, there is great grassroots action occurring on a daily basis all around us. Getting involved with community action and projects can help us to develop skills which we might not have had the chance to learn in school or at University. These could include but are not limited to: public speaking, practical outdoor and conservation skills, project management, leadership, teamwork, communication skills, and sustainability practices in the workplace. The idea of starting to volunteer with a new group or organisation can be intimidating. However doing so can cause a significant increase in our self-confidence as we step out of our comfort zone, learn new skills, bond with the people around us, and contribute to the causes we care about. Volunteering experience on a CV shows to employers that we are motivated to work in the area we have chosen. It helps us stand out from others, and provides us with exciting and interesting things to talk about in interviews. Furthermore, even if we are going down a completely different path to that we chose to volunteer in, pretty much any volunteer role can provide us with invaluable transferable skills, and demonstrates to employers that we are proactive in our day to day life. Finally, all of the above help contribute to our sense of achievement and wellbeing. This effect of volunteering should not be underestimated. The happiness, success and delight we take in completion or contribution to a project or role makes us all the more confident to pursue our passions in our working life after University. Find out more about the Volunteering Service here. You can use our service to search for hundreds of volunteering opportunities with local charities and students groups. Alternatively come and meet us at Potterrow on Bristo Square. We are located just behind reception, and are happy to talk in further detail about your volunteering. 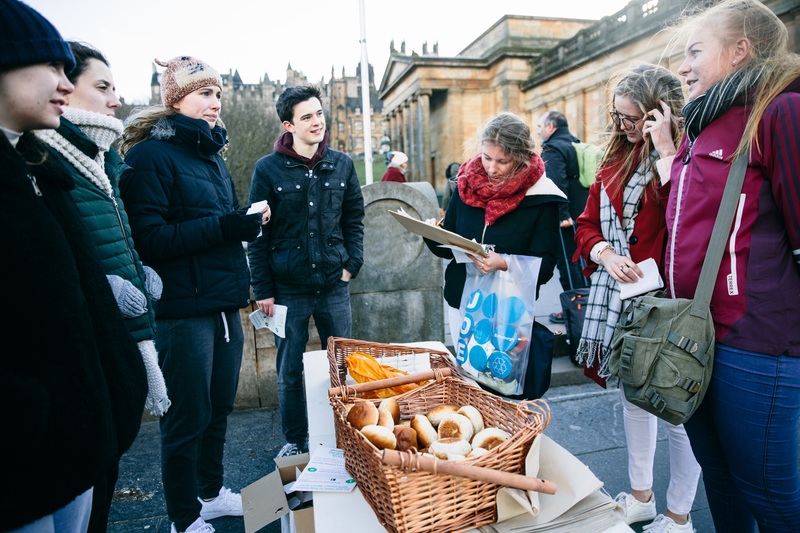 If you have any further queries and cannot visit us in person email volunteering@eusa.ed.ac.uk. Next A career in tech? That’s not really an option for me is it?